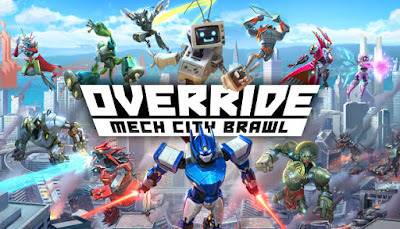 Asylum Reviews; Override: Mech City Brawl [Xbox One]. 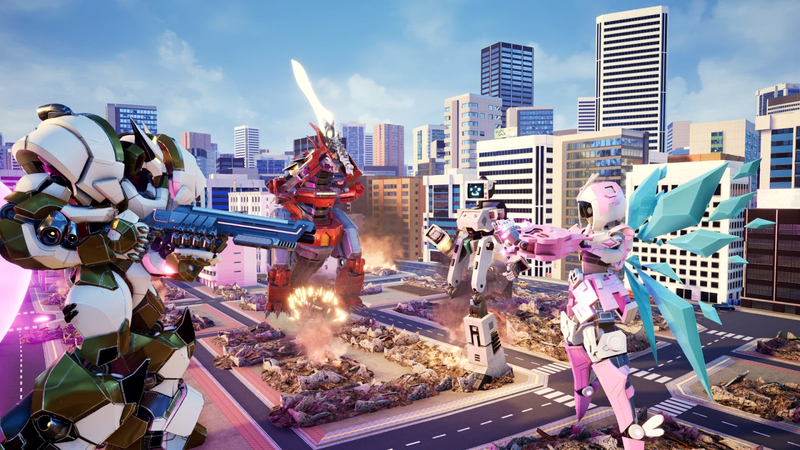 Created by Modus Games and The Balance Inc., Override: Mech City Brawl is, as the title suggests, a game about big mechs fighting. We sure do love some mecha and/or kaiju related media, so we were desperate to play this prior to release. (Sidenote: apologies for how long this review has taken to post, it was written weeks ago and was accidentally left as a draft! Oops!) With twelve gigantic mechs to choose from, each with their own skills and fighting styles, there's plenty to discover whilst playing. Mechs can be customized and accessorized within the Garage, giving you the freedom to style your mech however you like, and we always love the ability to unlock skins and other cosmetic items, as opposed to them always being tied to microtransactions. The different mechs are all wonderfully designed, with Vintage - a retro computer looking mech - being the one I think is the most adorable - although I didn't find it to be the best in battle. The basic controls are very straightforward, with each button controlling a different limb of your mech, allowing for easy precision of where you want your hits to land. A meter shows the temperature gauge of your mech, so you must always be sure not to spam the buttons too much, otherwise you'll overheat and leave yourself open to attack whilst you cool down and recover. Additional parts and weapons will drop occasionally for you to pick up and utilise, giving you extra methods of fighting as well as a new type of assault. 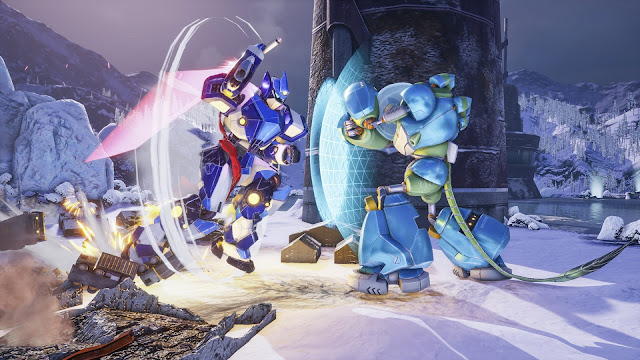 Sometimes the fighting would feel quite clunky and awkward, however this was more noticeable on some mechs than others - so could be more down to their playstyles and individual design than an inherent design flaw. The arenas are nicely designed, with them being modelled off of real world locations such as Egypt and Tokyo, but the actual implementation of the cities' buildings is not as great as I'd have hoped. Mechs seem to turn buildings to dust with very little effort, and entire cities will collapse by you simply walking all over. The buildings don't seem to have a lot of ability to take damage and resist it, which is a little disappointing - it would have been good to feel more of an impact when crushing the city - maybe even administering a Game Mode where doing as little damage to the city as possible could be an objective (or a deciding factor in whether you succeed or not). Completing arenas gives you research points which can be used to further upgrade your mech, adding another layer of customisation to your character. You can choose how to spend these, giving you a great deal of control in how you'd like your mech to function and what skills they can improve upon. The game itself is gorgeous, with bright colours and crisp animations, and well done sound design to tie it all together. The game includes both local and online co-op, as well as Versus modes and the main campaign, which is great to see. It adds a little more diversity into how you can play, and increases the longevity of the title. You can also play as a party of four, each controlling a separate part of the mech - this can be a little odd at first, but truly encourages teamwork. 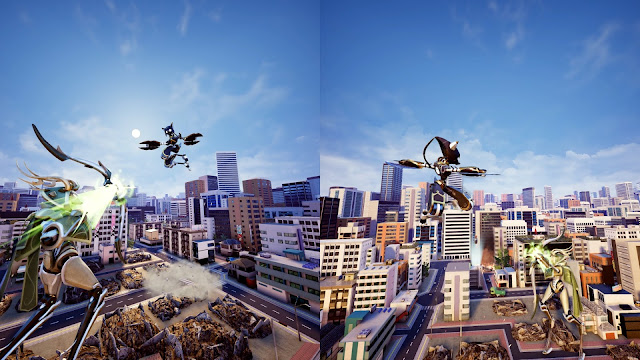 The multiplayer modes are definitely the biggest and best part of Override, and seem to be where the game really shines. The main story campaign just feels too repetitive for the most part, although still enjoyable, but the multiplayer keeps things fresh and interesting for much longer. Sadly, the game is plagued by frequent frame rate issues, and the occasional glitch or two - the glitches tend to be avoidable once you see what triggers them, but the frame rate drops are definitely pretty frustrating, and can make the game less enjoyable to play. It wasn't a huge issue, but when it cropped up it did impact things and left me feeling quite bummed out over it. In the end we decided to give Override: Mech City Brawl a 7/10. It has a few flaws, but for the most part, it is still a fun time that we'll come back to. Have you played Override? What did you think of it?  Asylum Reviews; Bendy and the Ink Machine [Xbox One]. Anyone that knows me, knows that I can't handle scary games very well. In fact, the game doesn't even need to be outright scary for my anxiety levels to go through the roof - just add a tense atmosphere and boom, you got me. I've been known in the past to just tap out from games altogether due to this, as the level of tenseness and panic within me far outweighs the need to play the game.  Bendy and the Ink Machine has achieved what many other games have not - having me riddled with anxiety but still desperate to go on. The art style, very Steamboat Willie-esque, early Mickey Mouse era stuff, is gorgeous, and translates the creep-factor well. Black ink oozes from surfaces and creates a great contrast, and the sepia tone further adds to this. Everything has a very authentic old-school animation feel, and the sinister undertones of what is happening at the studio juxtaposes well with the cartoonish style. 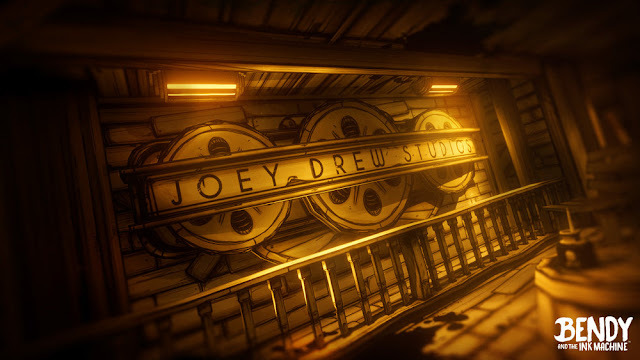 You play as Henry, a retired animator who has been asked to revisit his old workplace, Joey Drew Studios, and in doing so comes across nightmare-ish ink creatures that have sprung to life. Each creature type is satisfyingly creepy, from Lost Ones and Searchers, to the Projectionist and the dread-inducing Ink Demon. Even the cardboard cut-out Bendys that are dotted around the studio often catch you off guard as you whip round corners, leaving you questioning if they are moving when you aren't looking.The smaller enemies had my heart pounding any time I came across them - and my GOD the noises they make - but the Ink Demon Bendy, by far terrified me the most. The way that the inky shadows take over the room to announce his presence, a hint for you to run and hide, just completely terrified me and left me feeling worried about what was to come. The enemy AI feels threatening, with the noises they make alerting you to their whereabouts and giving off a sense of impending doom, however after they spot you, you can often outrun them - and if you know the location of the nearest Little Miracle Station, which is a cabinet that you can hide inside to lose the enemies attention, you can quickly dive inside and they'll then somehow forget all about you (even if they watch you enter it!). This did take away some of the threat from them, but depending on your location upon them spotting you, and how good your memory is, you might not get a chance to hide from them. 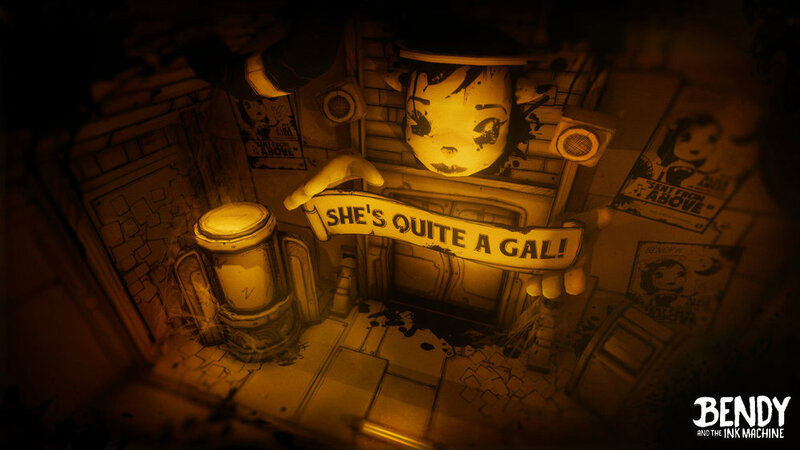 As the game progresses, you will come across another inky character: Alice Angel. 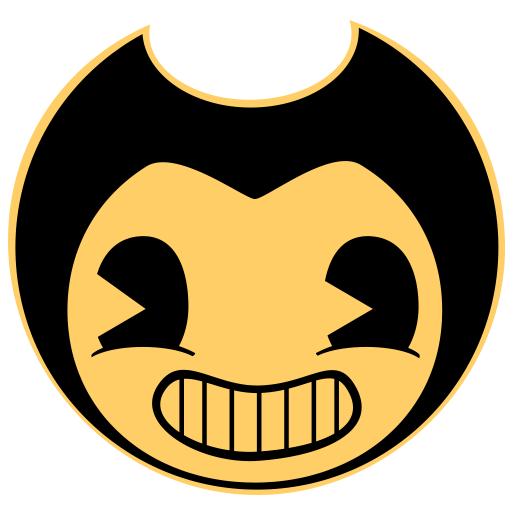 Instead of instantly going after you and wanting to kill you, like Bendy does, she decides she could put you to better use instead. She has a hatred for Bendy, and figures that you might be able to help her out with some tasks to regain some control of the studio, and to irritate Bendy in the process. The tasks include retrieving items for her, and destroying some of the Bendy cutouts. I really liked this section of the game, and the panic that it brought as Alice's voiceover warns you not to run too much in case you draw Bendy's attention. Sound design was fantastic with the varying sounds increasing the tension, and environmental sounds such as ink dripping, or film reels spinning leaving you second guessing everything you hear: is it an enemy? Where is it coming from? etc. etc. Voice acting was done well throughout, with a nice surprise in the form of Jacksepticeye's voice on one of the recordings within Chapter 3. The actors were convincing in both their threat (from the likes of Alice), and the confusion in some of the recordings' voices. These cassettes, located all throughout the levels, add in further backstory to what had been going on in the studio long before its closure. Gameplay itself was enjoyable and figuring out puzzles was entertaining, if a little frustrating at times when I couldn't immediately tell what I was meant to do next. Movement often felt slow/sluggish when trying to run from enemies, and every now and then reaction times would almost grind to a halt (particularly in one boss fight when trying to dodge a projectile), so I'd have to overcompensate by moving before you'd reasonably expect to avoid this issue. This luckily only happened a few times, and was possibly a glitch (in the case with the projectile) as I gave up out of frustration and exited out completely, then reloaded the game almost instantly and it worked fine first time. Also, in the final chapter, a couple of times an enemy got trapped within a wall, but this would fix itself as soon as I walked past and they noticed me so wasn't too much of an issue. There are a bunch of secrets to be found throughout the levels - some of which can only be seen after completing the game and unlocking an item to be used on all chapters - and tonnes of tins of Bacon Soup littered all over the place for you to collect. I thought I'd done really well collecting all of the soup, only to not be awarded the achievement at the end, so must have missed a couple somewhere. I thoroughly enjoyed the game, and would recommend to anyone to give it a shot. A few minor gripes here and there, but overall I loved it. The simplicity of the game (both in terms of gameplay and art direction), paired with the genuine feeling of dread and tension made for a fantastic time. 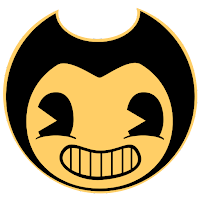 In the end, we decided to give Bendy and the Ink Machine a 9/10. Have you played BATIM yet? What did you think of it? Asylum Reviews; Desert Child [Xbox One]. Created by Oscar Brittain, Desert Child is a racing RPG that is heavily inspired by his love of animes such as Akira, Cowboy Bebop and Redline, and this alone was enough to have us interested. You play as a broke young hoverbike racer, whose end goal is to move to Mars. With the cost set to rise shortly, you need to make money - fast - via whatever method you can, be that pizza deliveries, robberies or racing. Police can and will seize any money you have on you if you are pulled over, so make sure to always deposit into a bank as there is nothing more frustrating than having a great deal saved up and then losing it all in one fell swoop. The more illegal activities you get up to, the more likely the police are to stop you, so this needs to be kept in mind too. Money is what everything revolves around - you need to save to move to Mars, but you also need to pay for food, as well as bills and repair costs for your bike whenever it needs fixed. This constant grind for money, paired with the relatively low number of varied activities to do for money means that things can feel stale and repetitive quite quickly. The pixelated art style is gorgeous, with a really authentic retro feel - the colours are stunning and everything really pops. The lo-fi hip-hop soundtrack is awesome and we really enjoyed most of the tracks - even the cheesier ones that at times will have you chuckling away to the lyrics when they match up to what you're doing (such as when you're doing the pizza deliveries). It's really impressive to think that one single person has created every part of this game, from the art, music, game design and animation, everything has been lovingly crafted by Oscar himself. As well as his influence from anime, hip-hop has been a huge point of reference for the making of Desert Child, with a link to Oscar's own Spotify playlist available here. Mostly everything follows the same race format, whether that be herding kangaroos, taking part in actual races, or any of a number of other activities. It would have been nice to have a bit more variety in the style of activities on offer, and might have added another layer of RPG-ness to the game (as that side seems quite barebones). Sadly, there's just not a whole lot of substance to the game itself, which is pretty disappointing as we were so excited by the initial premise. The beautiful aesthetic, as well as the cheap price point (only £9.59 on Xbox One) still make this a game we're happy to have tried out, and we'll definitely keep an eye out for any of Oscar Brittain's future releases, as we imagine that he'll only improve from here. 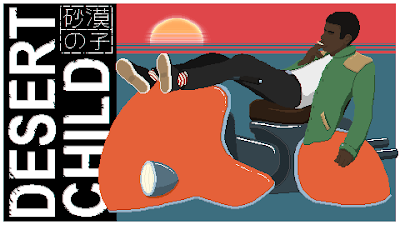 In the end, we decided to give Desert Child a 6.5/10. 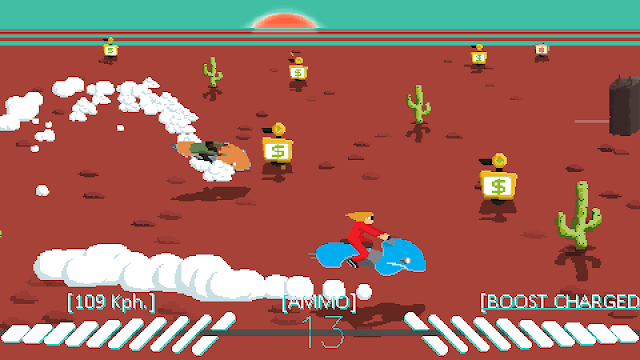 Have you played Desert Child yet? What did you think of it? Asylum Reviews; Floor Kids [Xbox One]. 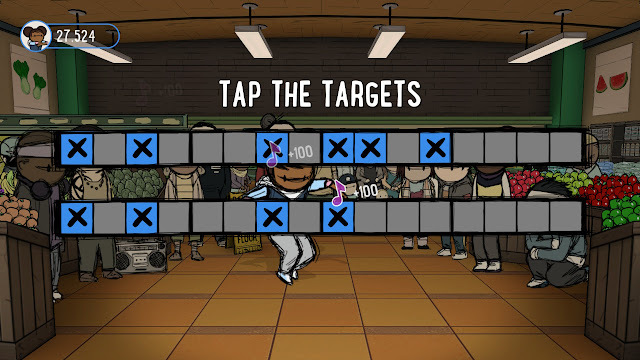 Floor Kids is a new rhythm game that immediately caught my eye due to its gorgeous art style (by JonJon), awesome Kid Koala soundtrack and of course the fact that I am a sucker for rhythm based games. 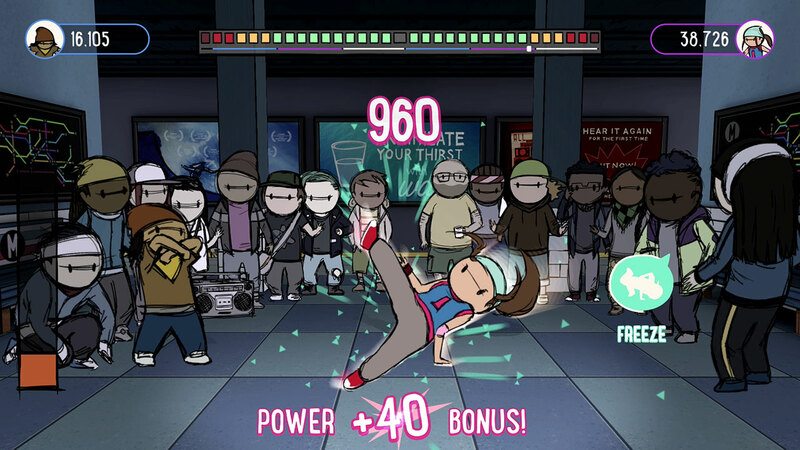 The idea of the game is to pull off cool breakdancing moves to gain a high score to unlock new characters and areas. Initially, it seems quite difficult but you quickly pick up the basics of how to bust out a sweet routine. Dances consist of four different move types: Toprock, Downrock, Freezes and Power Moves. People in the crowd will sometimes call out for specific types of move, allowing you to gain a bonus for pulling it off. You've got to combine different moves, whilst tapping to the beat of the track, and not holding moves too long for fear of getting boring, or falling on your arse with a badly timed transition or Freeze move. With a bunch of different characters to choose from, each with their own style, you'll work your way through each one, aiming to achieve the best scores possible. In order to gain the best scores, you need to successfully accomplish combos. The game will nudge you as to which combos should be done, with a list of moves being shown on screen, however it is whether or not you remember what these moves translate to, and how to actually do it, that is the deciding factor in how well you'll do on a track. At the end of each track, you will be awarded a rating, up to a total of five crowns. This is then shown in the Summary, awarding points as to how you did for your Base Score, and five sub-categories of bonuses: Funk, Flavor, Flow, Fire and Flyness. Tapping RB (on Xbox) then gives you the full Breakdown of how this was made up, from each of the types of moves used (and skill multipliers gained), as well as how each bonus is awarded. Funk consists of your Beat Accuracy for the main track, as well as the two chorus sections, which are more like standard rhythm based games, where you need to time your taps with what is happening on screen (as opposed to being based purely on sound). Flavor is given from using each of the 16 moves available to you, and if you have achieved a hold, pose, taunt, etc. Flow is determined by the flow of your routine, and falling or stopping moving can affect this. Fire is based solely on requests from the crowd, and whether you managed to give the crowd what the wanted to see. Finally, Flyness comes from how many holds, hops, reversals and more that you executed, and duration bonuses from your Freeze and Power moves. I kind of wish that the game was structured more like DDR, or almost any other rhythm based game, where lining up moves with target zones gains a hit, rather than it being totally freestyle aside from the two Breakdown sections on each track. Freestyling feels more frustrating to me, as there is a great deal more concentration required to remember how to achieve each combo, as well as making sure every move is used. I like a challenge in a rhythm based game, but one that comes from the rush of trying to keep up with what is on screen, rather than memory. In the end we decided to give Floor Kids the Collecting Asylum rating of 7/10. Despite the short length, and the fact that Freestyle wouldn't typically be my first choice for rhythm games, I still really enjoyed Floor Kids and would recommend it to other rhythm lovers, especially as it's just so damn adorable looking! Have you played Floor Kids? What did you think of it? Asylum Reviews; Fallout 76 [Xbox One]. 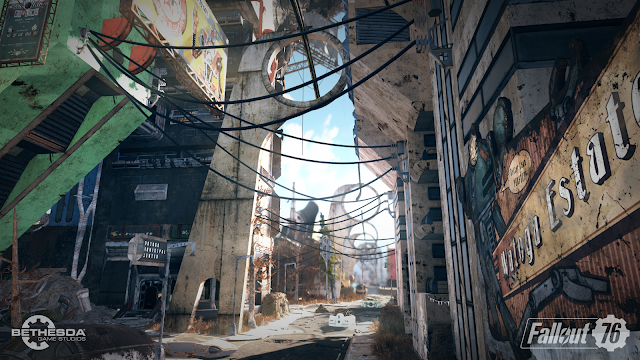 Bethesda’s latest offering in the Fallout series, Fallout 76, has veered down a new path into a scary new territory – a fully online multiplayer one. With the core mechanics of the previous Fallout games intact, the game feels much as you’d expect – but there’s something missing. The world feels vast, but empty. Where there were once NPCs floating around in various areas, there is nothing. Enemies still spawn, often in unsettlingly large numbers – coming across a group of ten or so Super Mutants within half an hour of starting was definitely a massive warning to turn around and go another way – but the lack of other characters to interact with leaves the world feeling more barren than you’d expect for a post-apocalyptic landscape. Other players will be lurking around, living out their stories whilst you go on yours, an ever present reminder of their locations showing on your map, but aside from the ability to team up with them, or kill them, there’s no real benefit to their existence, unless you both want to go toe-to-toe. 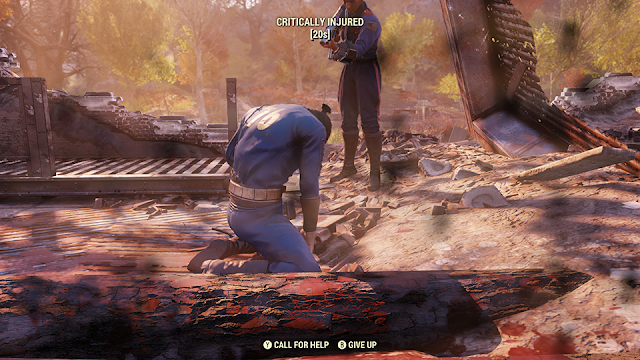 To prevent players from repeatedly hunting down and killing others who just want to be left alone, Bethesda has implemented a system which marks you for killing another player in cold blood and prevents you from being able to loot their body or gain XP for the kill. 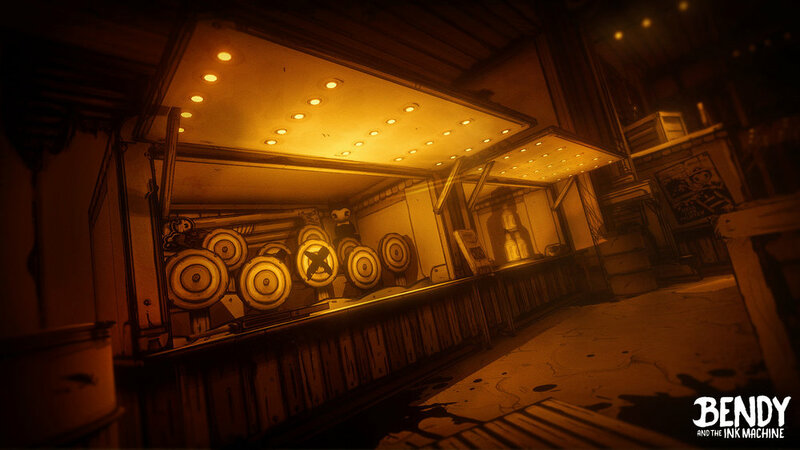 Upon respawn, you are able to hunt down your killer for revenge and bottlecaps without punishment - and other players are invited to do so too via the Bounty placed upon the character; however this deterrent has done little to stop some players from being a huge pain in the neck for everybody. Add to that, the fact that you can see player locations on the map (with their gamertag prominently displayed next to it), this gives griefers the ability to target sole players repeatedly. Luckily, we’ve only come across this issue a couple of times as the server you load into can only hold so many players at once, luckily reducing the likelihood of you ending up lumped in with a bunch of idiots at once. Sadly, this whole loading into a server issue comes with another problem – things you do within one server, such as taking over a workshop camp, will be lost forever once you quit the game as you are not tied to one single server for your entire playthrough. Visually, Fallout 76 doesn’t look all that much different from Fallout 4, if a little bit less impressive, which is slightly worrying considering that Fallout 4 was released THREE YEARS AGO, and yet somehow still looks better. The lack of other characters to interact with probably emphasises this, as although Fallout’s NPCs have never looked fantastic themselves, they at least gave the environment more life and made the world a bit less… boring. The world, for the most part, feels like it is still in Beta, and that we are the few lucky sods that have been given a code – there’s not enough people around to populate the servers (albeit they can only hold around 20 odd people) and with the world being so wide and open, it’s rare that you’ll bump into anyone except at specific quest-related locations. The mission structure isn’t very engaging, and instead just gets you to go from one place to another, reading notes and listening to messages left by previous vault-dwellers to guide you on your way. It feels so empty and lackluster, and whilst we understand that a world recovering from a nuclear event would feel a lot less alive, there’s a distinct lack of struggle to survive than what you would expect for being so isolated. Everything just feels quite bland, and not what you want, or need, from a Fallout game. A couple of instances occur where things liven up for a bit, with missions requiring more involvement, but after these pass, you are straight back to ambling around from marker to marker. Timed quests can be a huge pain to complete when playing alone also, so joining up with some other players (or friends, if possible) might make things better for you in the long run, but there just doesn't seem to be enough to keep it fun at present. If you had a decent number of friends to strategize with, it would probably make the game at least a bit more enjoyable, but with nobody else in our friend group having bothered to get the game we have missed the chance to test this out directly. An unsurprising fact for you all is that Fallout 76 is riddled with bugs. This is something that pretty much plagues all of Bethesda’s releases, and doesn’t seem to be improving as each release passes. One by one, bugs are eliminated, but it’s a slow process – and whilst not all bugs are game breaking, or frustrating, the ones that give you a little giggle when they occur, such as bodies flying into the distance after being shot, or glitching and getting stuck in the walls of buildings still impact the game negatively – after all, these are things that should have been ironed out in testing. Especially since we see these bugs arise in every new Bethesda release – you’d think they’d have sorted some of them out (or at least know how to identify them prior to launch). The framerate drops often, and people have apparently encountered issues where quests simply cannot be completed for one reason or another (although we personally haven’t come across that issue). It's not exactly what you want to be dealing with after shelling out on the game at release (especially after seeing it drop so quickly afterwards). 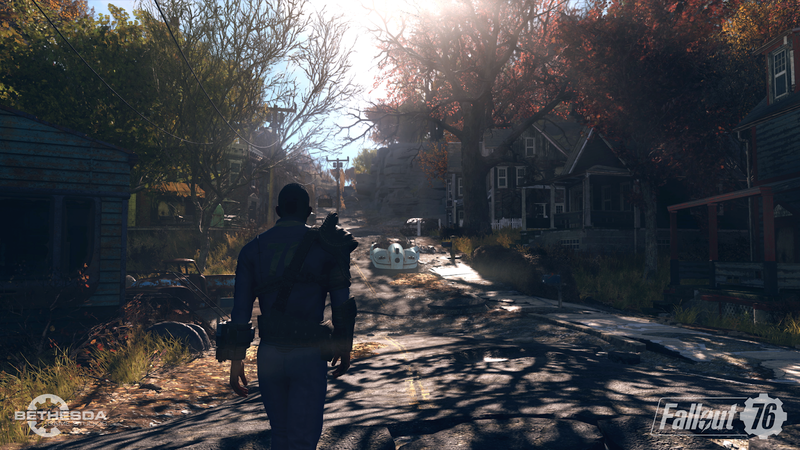 Whilst it may be possible that the game will improve over time, as Bethesda tries to implement new things to reinvigorate the quickly dying release, currently it just feels too lonely and just doesn't give us the same Fallout feeling we've grown to love. You'll occasionally come across interesting little set ups of a world left behind, giving a glimpse into the inner workings of life in West Virginia before the war, with the way that houses are set up, or teddy bears laid out to enact some grizzly scenes (a la watching some gnomes decapitate a skeleton), but even this makes you feel sad for what could have gone into the game, and what just fell by the wayside. In the end, we decided to give Fallout 76 the Collecting Asylum rating of 6.5/10. Have you played Fallout 76 yet? What did you think of it? Asylum Reviews; Horizon Chase Turbo [Xbox One]. 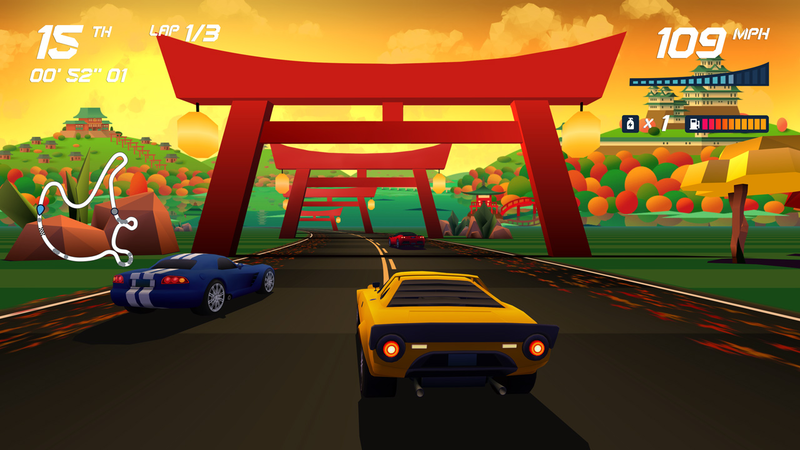 Horizon Chase Turbo is a fantastic return to old school arcade racers. It's been so long since I've played a racing game that, at its core, has been so fun and such a joy to play. HCT is a game that's easy to pick up when you first play it, there's intense learning curve and the cars whip round tracks like butter - there's usually a few hazards at the edge of tracks (such as arrows, trees or other signage) but for the most part they're fairly easy not to hit. And with local split-screen (for up to four players) being a welcome addition to the game, as so many racing games now turning to online only multiplayer (which just isn't the same), there's plenty of replayability to keep you coming back to defeat your friends when they're over. 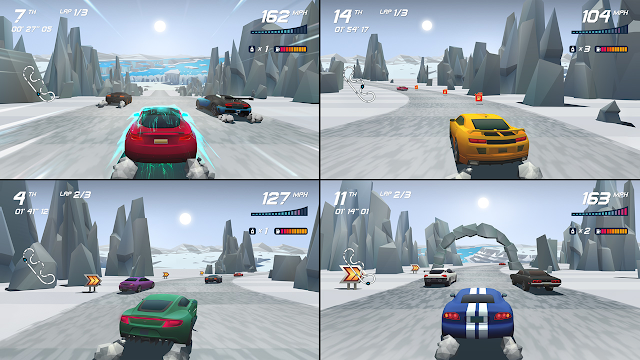 There are four game modes to unlock and choose from, including the initial mode: World Tour, which sees you span twelve countries, starting in California, each with different terrains and settings throughout and giving you the ability to take part in Upgrade Races to unlock new upgrades for your vehicles. You gain XP through various things in each race, from collecting all of the tokens, to gathering extra fuel and of course, winning the race. Later, you'll also unlock Tournament (fairly self-explanatory), Endurance (a continuous race mode) and lastly Playground - the newest addition to the roster (to time with the launch of the Nintendo Switch and Xbox One versions of the game). 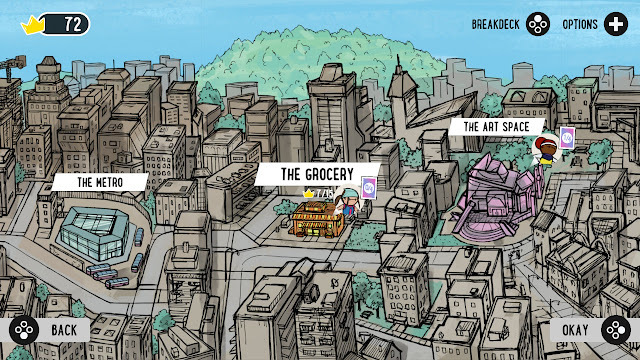 Playground offers time-limited tracks that encourage you to prepare for the unexpected. With five ever-changing tracks, with various modifiers such as Time Attack races, changing weather patterns and mirrored races, it's definitely a fun option to keep the game feeling new and fresh for longer. Visually, the game is beautiful. It strikes a nice balance between that cartoonish, retro style and a newer, more detailed design - and the bright colours make everything pop. 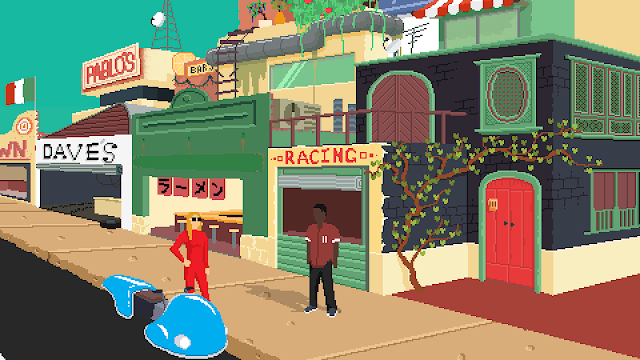 The sound design is equally as fantastic, with a fun retro vibe to nod back to the good ol' days, but still fresh enough to not be boring and samey. 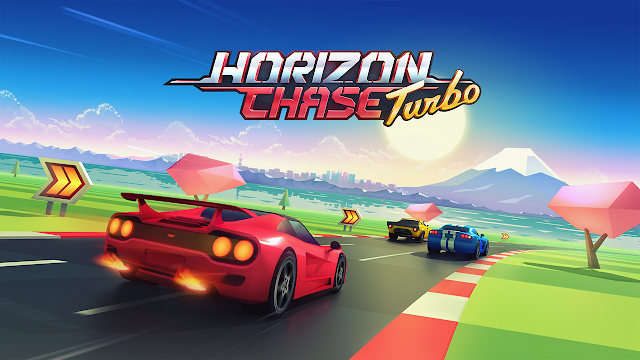 Suitable for all the family, Horizon Chase Turbo is definitely a game we'd recommend that you pick up, especially since it's fairly cheap at the low price of £15.99 on Xbox One - and considering that it has managed to draw the wee man away from Fortnite on multiple occasions, that definitely counts as a success! The only downside is that there is no option for online multiplayer as well, which is a little frustrating as it would be fun to play against friends that live further away, but considering the inclusion of split-screen, I don't feel as bad about this! In the end, we decided to give Horizon Chase Turbo the Collecting Asylum score of 8.5/10!